Sleek, super bright and outfitted with a waterproof construction for the myriad of mountain adventures you seek, the redesigned Cosmo now features 200 lumens of power. 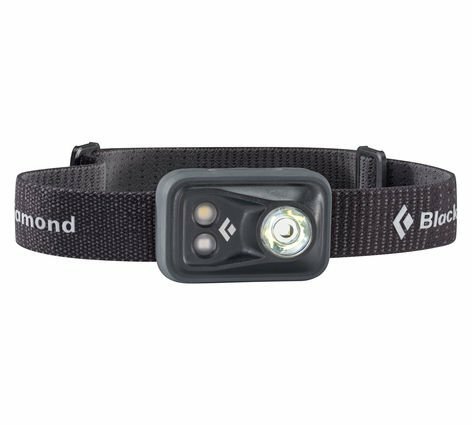 After-dark dinners on the tailgate, mid-week dawn patrols or late hikes out from the crag are easily handled by the Black Diamond Cosmo headlamp, a sleek, super-bright headlamp for any outdoor pursuit that runs short on daylight. The Cosmo features 200 lumens of power and six different lighting modes, including red night vision, that all adjust with a single push-button switch. And with a sleek and modern water resistant construction, the Cosmo keeps shining the way through unexpected storms, afternoon precip and accidental dunkings. •IPX4: Storm proof—Tested to withstand rain and sleet from any angle.